The Divine Mother through Jennifer Crokaert confirmed a thought I had regarding cosmogony and our role in it. For some time I had been meaning to write this article, not knowing that I was awaiting this very confirmation. In this post I will attempt a very simplified explanation of our immediate cosmogony and how we embody the divine qualities. It is not my intent to be perfectly exact and thorough as that would only redo the many works of Vedic literature and theosophy. I simply aim to provide an easily accessible overview. In my understanding of cosmogony, this makes perfect sense. Allow me to elaborate. The Creator in deciding to experience Himself/Herself creates from Itself several rays representing different qualities or attributes. These the Vedic scriptures declare to be the Sapta Rishis or the seven mind-born sons of the Creator, Brahma. Madame H. P. Blavatsky in The Secret Doctrine equates these Sapta Rishis with the theosophical Dhyani-Chohans. A hint as to the reasonableness of this assumption can be found in both the Vedic and the theosophical teachings which each indicate that the Sapta Rishis as well as Dhyani-Chohans change with every Manvatara, or cycle of the ages. Each of these Sapta Rishis or Dhyani-Chohans embody or personify a particular aspect, attribute, or quality of God. For example, Master Serapis Bey is Dhyani-Chohan of the Fourth or White Ray of God- the quality of Purity. A listing of the Sapta Rishisand Dhyani-Chohans can be found here and here. I have so far not been able to obtain a one-to-one match between the Vedic Sapta Rishis and the Dhyani-Chohans though I am convinced of their identity with each other. 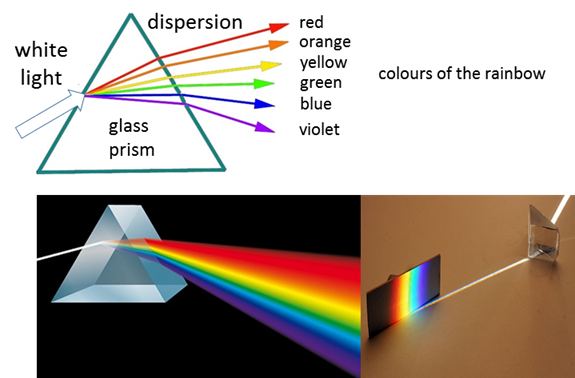 This differentiation of the One Creator into different qualities and attributes is analogous to the refraction of white light in physics by a triangular prism. ​In both Vedic literature and theosophy, the Sapta Rishis or Dhyani-Chohans were tasked with continuing creation in ever more dense/gross forms. Thus each one further refracted themselves, forming the Vedic Pitris, or Elohim according to Madam Blavatsky. The word Pitri literally translates as “progenitors of mankind.” In popular Hinduism, the Pitris are often worshiped as the ancestors. This is correct, yet there is far more to the meaning of Pitris than mere ancestors of a particular lineage. In The Prism of Lyra, authors Lyssa Royal-Holt and Keith Priest give a fascinating account of the galactic wars and the role of the Pleiadeans in fashioning Earth’s humanity from the DNA of 22 different Extra-Terrestrial races. Each Pitri thus formed, was created primarily from a single divine ray or quality of God. Their essential task was to embody and learn about that quality. In their sub-refraction (to continue our physics analogy) they could only refract that particular quality in all its different meanings and aspects. Much like further refraction of the original seven rays of the rainbow spectrum produces different shades or gradations of each of the seven colours. This brings us to our quantum selves, three refractions down. Being created from a particular Rishi, or quality or Ray of God, we each embody a particular divine quality. Of course, we each have every divine quality at all times. Yet, there is one that stands out for each of us. Many Hindus in India and around the world, particularly the orthodox Brahmins, trace their lineage to one of the Sapta Rishis. This is called one’s gotra in Sanskrit and knowledge of which forms an important part in Vedic rituals. ​This multi-layered refraction of ourselves is acknowledged by many names throughout the esoteric and metaphysical literature. Terms such as Higher Self, Oversoul, Supersoul, and Quantum Monad are but just a few examples. Interestingly, in the Hindu after-death ceremonies, there is a particular rite called the sapinda shraadha which literally re-enacts the merger of the recently departed ‘soul’ with that of three higher aspects. It is often described as being the induction of the departed soul to the Pitris. ​In conclusion, I have attempted to show in this article that each of us carries one predominant divine quality. This divine quality can be traced through our lineage with one of the Sapta Rishis or Dhyani-Chohans who embody that divine quality. ​It is our task to work with that particular quality, to learn and refine it. Thus, through us, God gets to know and experience God. This is our sacred task. Thus we have a reasonable explanation for the existence of Deva Pitris headed by Kavyavaadanal. Sri Ramcharitmanas of Goswmi Tulsidas gives a beautiful verse stating that the Devas (celestial beings, or iET) are covetous of the opportunity to incarnate within Earth’s humanity. Gita Press, Gorakhpur. (1998). Sri Ramcharitamanas by Tulsidas. India.